Product prices and availability are accurate as of 2019-04-22 08:03:25 EDT and are subject to change. Any price and availability information displayed on http://www.amazon.com/ at the time of purchase will apply to the purchase of this product. The X52 2nd stage comes with the traditional Cressi AC2 piston 1st stage. Constantly reviewed over the years, this regulator has lots of admirers in the world due to the fact that it is extremely simple and strong, features that make it easy to use and result in low-cost maintenance. 2nd stage X52 The body of the 2nd stage is traditionally sized, made from hi-tech polymers and with a lateral valve downstream system with adjustable orifice, simple and extremely reliable. A flow of pilot air is channeled to the mouthpiece by injection, enhancing the performance. 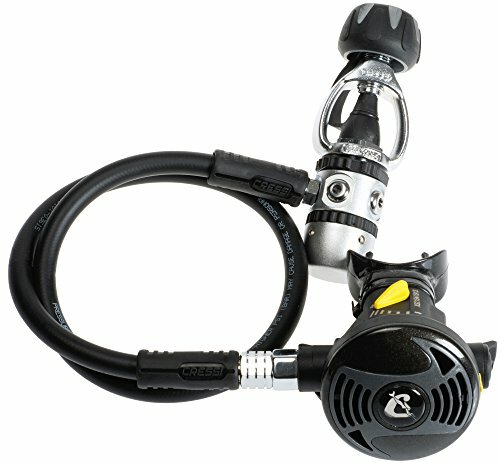 The 2nd stage comes with a a flow deviator that acts on the Venturi effect, with dive/pre-dive function. 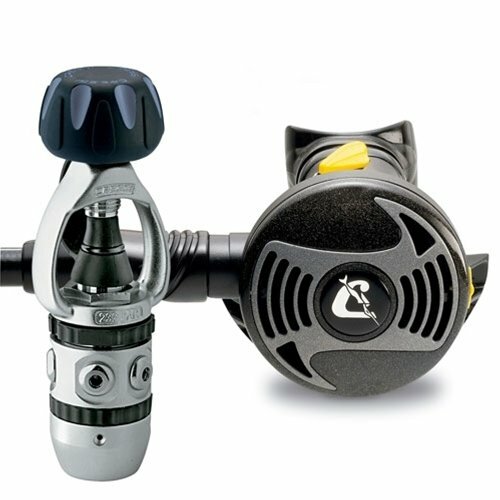 In any case, performance levels are high, and it is suitable for any kind of dive. 1st stage X52 comes with the traditional Cressi AC2 piston model. This is a non-balanced first stage with such high performance that it can be compared to lots of excellent balanced models. The small number of components, the low weight and the excellent materials make it the strongest Cressi first stages, and the most steadfast to maltreatment, a real "working horse" amongst regulators. An ingenious bush system allows easy and rapid external regulation of the intermediate pressure. It comes in three versions: TNT, DIN 200 bar and DIN 300 bar. o Cressi is a REAL diving, snorkeling and swimming Italian brand, since 1946. o Made in Italy with non-corrosive long lasting material. o The XS second stage features a comfortable mouthpiece and an easy to purge button. o Non-balanced first stage with high performance and reliability. o In the box: AC2 1st stage, XS2 2nd stage, 3/8" hose and owner's manual.